Artis—Naples is an interdisciplinary arts center in Southwest Florida, home to the Naples Philharmonic and The Baker Museum, which features modern and contemporary works of art. 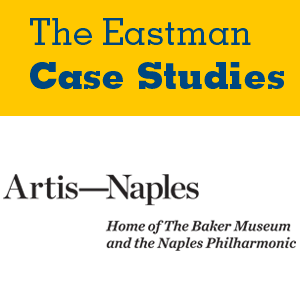 The institution was known as the Philharmonic Center for the Arts (or “The Phil”) until 2013, when the name was changed to Artis—Naples after an extensive brand audit. This case reviews the conditions that led to the rebranding; the audit and selection process for the new name; promotional activity around Artis—Naples; and an unexpected wave of public dissent, including objections by the founder and former CEO. The reader is asked to develop a response to patrons of the arts center in light of the criticism.